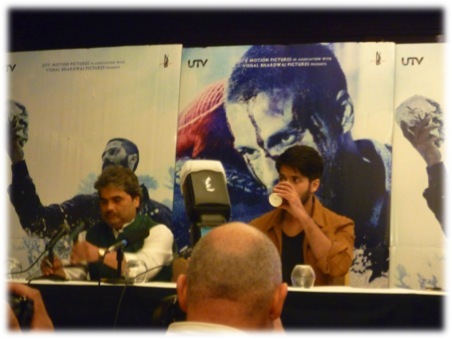 It might have been a rainy Tuesday morning after a bank holiday weekend but nothing was going to dampen spirits at the swanky London hotel where visionary director Vishal Bhardwaj and the dynamic Shahid Kapoor were in attendance to talk about their much anticipated next release Haider. After showing those in attendance a sneak peek of the film (sorry, no spoilers here! ), it was time to speak to Vishal and Shahid and find out what went into making one of Shakespeare’s most well-known and difficult plays into a Hindi film for a commercial audience. Why did you choose to adapt Hamlet for Hindi cinema? Vishal Bhardwaj: Shakespeare has been my favourite because his dramas are so “juicy” – they have this conflict that is so universal that you can find those conflicts in any society because they are basic human conflicts. 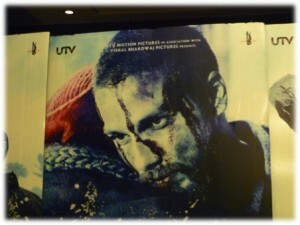 So is Haider a faithful adaptation of Hamlet or a complete rewrite of the premise? Vishal Bhardwaj: I always try to remain true to the spirit of the play rather than the text itself – that is what I also did in Omkara and I have also taken those liberties in Maqbool. In Haider, my ghost comes late, [whereas] in Hamlet, the play starts with the ghost so I have taken these kind of structural liberties but all those milestones which Hamlet is known for are there. But of course, it is a rewrite for me and I see it as completely my own work. It is very difficult to take Shakespeare’s burden off your head, especially when you are making a trilogy. Shahid Kapoor: Especially when you are given contact lenses to wear and you are told you can only act with your eyes! …so what were some of the challenges you faced in enacting this role? Shahid Kapoor: One is usually used to doing movies which are largely single layered – it is very rare that you come across situations as an actor that are complex and I guess that’s where performance can actually come from. I just try to understand the character, his background, his mental state and just try and be honest with how that character would be feeling in that situation and I’ve pretty much played the whole role like that, I never tried to think of is this too many expressions, is this loud or is this not loud, I think those things are largely governed by the director. This is your second film with Vishal – what is your working relationship like two films on? Shahid Kapoor: I have a fantastic relationship with Vishal Sir – I think we had a really good relationship when we did Kaminey but now I think it has grown a lot, especially after this film, I felt very dependent on him, pretty much through the film, I would be very unconfident if I couldn’t see what his expression was after I had finished a shot, I felt the need for him and so, I depended a lot on him and if he seemed happy, I would feel like pretty much achieved what I needed to and we’re good. It sounds like Vishal is quite the taskmaster! Shahid Kapoor: He is very encouraging on set though and I’ve always felt that, a lot of people might feel because of the content that you view, that you must be feeling maybe he is really difficult, he pushes actors and does stuff but actually he provides you with a really good set of actors, really interesting new background and fresh content in terms of script, and all he does is encourage you on set. Actually, he has never been angry or upset with an actor – I’ve never seen him do that, which, you know, I guess is an amazing, amazing quality. Vishal, why did you choose to set the film in Kashmir? Vishal Bhardwaj: I sincerely think that Bollywood has not been very sensitive towards Kashmir as [Kashmir] is the biggest human tragedy of modern Indian history. I had been reading about it a lot, I had been thinking about it a lot, that why have we not seen Kashmir from inside, why do we always have to go from outside. My eyes opened about what this region has gone through, this conflict and is still going through – that’s where I thought it would make the best backdrop for my film. Haider completes a trilogy of Shakespeare’s tragedies that you have adapted for Hindi cinema (Omkara and Maqbool being the other two). What is next on the anvil? And Shahid, what will you take away from the experience of Haider? 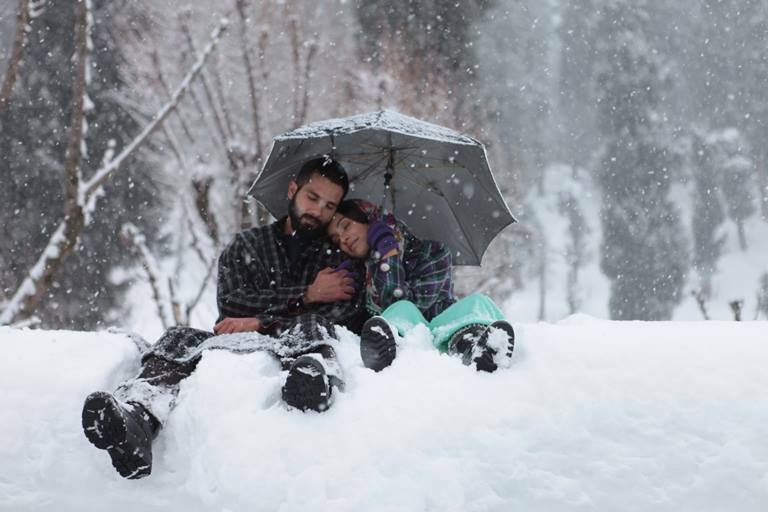 Shahid Kapoor: What has lingered on is this feeling of why didn’t I do more films like this after Kaminey – that’s the one feeling I felt the most whilst shooting Haider. It was very enriching experience as an actor and when you do films like this, it reminds you of why you wanted to become an actor actually and then a lot of other things take over and I guess that holds true for any profession – we all get into something because at a certain age, there are certain things that attract you to a particular profession and then when you do it, there are rare opportunities where the things that you did it for are the things that you actually do it for. I really felt I should have done more films like this after Kaminey and I’m very clear that I want to do one such film every year for my journey as an actor. 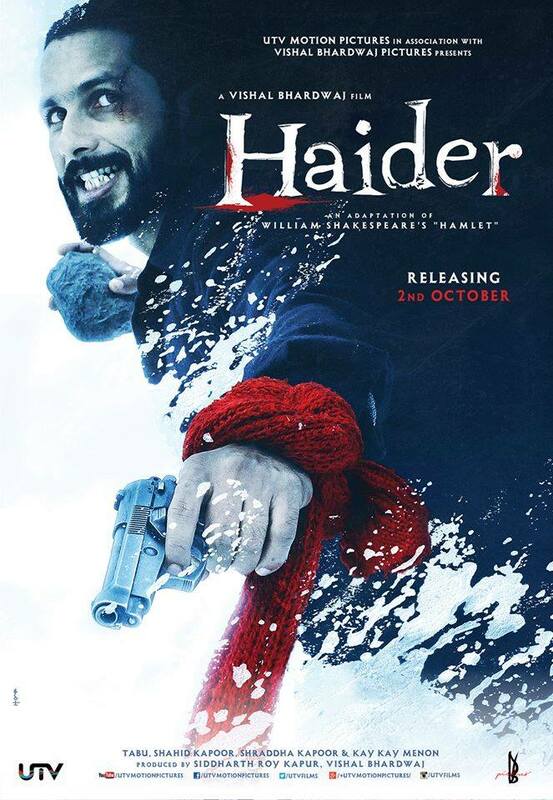 Haider is set for a worldwide release on 2nd October 2014.